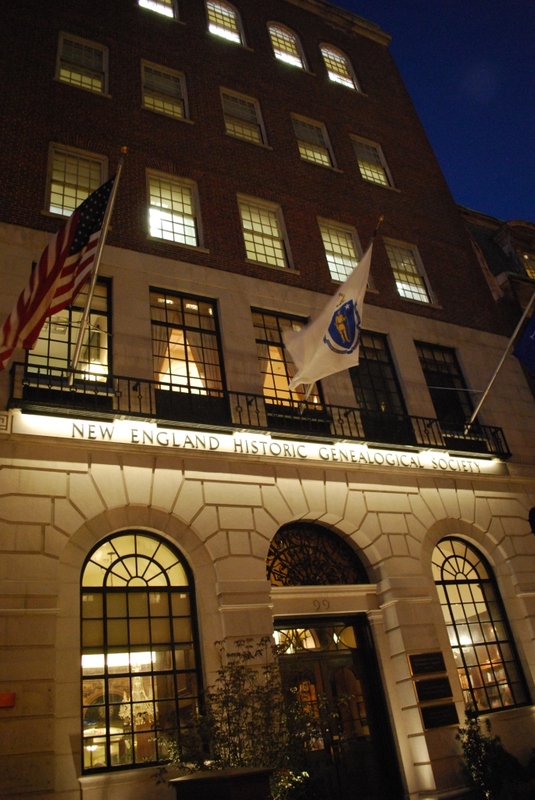 Welcome to Vita Brevis, the blog of the New England Historic Genealogical Society. Vita Brevis is designed to offer the reader short essays by the Society’s expert staff on their own research as well as news of the greater genealogical community. 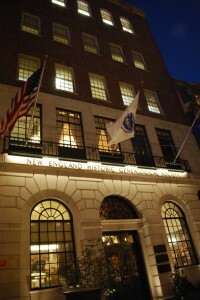 As the nation’s oldest genealogical Society, the NEHGS collection has always contained books and manuscripts on other subjects than New England; now, with its growing database collection, NEHGS is truly a national – and an international – resource for family history. Vita Brevis will include short posts on research methods – applicable to a variety of genealogical subjects – as well as posts on results. Like a mosaic, these posts will, in time, form a new collection for the genealogical researcher to explore. Would it be possible to include a link that would allow subscription to the posts via email? Thank you, Pamela, for the gift of your blog. I too am a Scudder. Rebecca was the sister of my 3rd great grandfather, Jacob Scudder, MD. You and I have a common Scudder ancestor. I would also like to see a way to subscribe to this blog and receive the posts via email. Add a ‘me too’. It needs an option to ‘follow this blog’. I to would like to subscribe. It would be good to provide an RSS feed that one can subscribe to. I will echo the previous comments. A simple subscription that will give me notification with Vita Brevis is available, would be helpful. I’m not likely to go after something unless it is placed in front of me with banners flying. This is a WordPress blog, so shouldn’t there be a follow button? As an alternative could you tweet when there are new posts? Like the others have said, love to read the blog but definitely need a notification otherwise I won’t remember to check it. There’s an RSS feed for the site. If you use Feedly you can just plug in the URL for the blog and it will find the RSS feed. Would appreciate a link to this blog. Regular notification of availability of new postings would also be good. So far, looks interesting. I echo others comments. My first check into family stories finds a reply from Carole Gardner that carries a story of my ancestors that I was not aware of. I’d hate to miss future stories and comment. RSS or email updates would be great. An RSS link would be very nice, and keep NEHGS right on the same page as all the other genealogical RSS feed I receive. Thank you all for your comments. The NEHGS web team is working on this question, and we should have an answer — perhaps multiple answers — later on this afternoon. THANKS FOR BEING RESPONSIVE. I HAVE ANOTHER QUESTION REGARDING TECHNOLOGICAL APPROACHES TO PRESERVING RECORDS. I DO NOT KNOW WHERE OR TO WHOM THE QUESTION SHOULD GO. I AM TRAVELING TO ITALY TO RECORD SEVERAL HUNDRED YEARS OF CHURCH HISTORY. I AM DOING THIS AT MY OWN EXPENSE AND PLEASURE TO GET THOSE RECORDS BEFORE THEY ARE LOST. I WANT TO SCAN THE BOUND BOOKS. I DON’T KNOW THE TECHNIQUE THAT WORKS BEST, NOR THE BEST TYPE OF SCANNER. I AM THINKING TO BUY THE Fujitsu PA03641 DOCUMENT SCANNER, AND WILL HAVE TO HOPE THAT IT IS THE BEST FOR THE JOB, IF I DON’T GET SOME GUIDANCE. CAN ANYONE THERE TELL ME WHAT MIGHT BE CONSIDERATIONS BEFORE PURCHASE? THANKS FOR THE TIME YOU PUT INTO MAKING THIS LOVELY BLOG WORK. I visited the NEHGS recently and was advised to use my cell phone to copy records. It worked very well – I just photographed the pages and could transfer the photos later, and blow them up to read. You just need a good cell phone. Somewhat of a “ditto” to all of the above – “Vita Brevis” is an excellent inter-active learning and sharing concept. The Society is doing us all a great favor by allowing us a glimpse into the projects of these true professionals. ~ Much obliged in any format! PS: It seems “Vita Brevis” is already linked off of “American Ancestors”….. after all, we are here aren’t we? Many New England 17th and 18th century ancestors found their way to New York State, with family members found there in the 19th century. I suggest someone do a post about “Fulton Postcards” (http://fultonhistory.com/Fulton.html), which I have been using fruitfully for about a week seeking out obituaries of members of my tree dying in NY State from about 1830 to the late 1900s. Many of the resulting obits provide information I’ve not found anywhere else. Three of my grandchildren are home schooled. I have been using age-interesting articles in your blog for reading aloud. For example the recent one about double dating. The essays present a different perspective on history and makes it personal for them. I am the ancestor hunter in the family and try to get them interested in that as well. Not only do the articles bring them back in history, but it improves their reading vocabulary. Thanks! Anne, that’s great! Thanks for letting me know — and how flattering! Has anyone done a blog on explaining “admitted freeman?” What were the requirements for that status? I write the newsletters for our local Genealogical society and a local irish American Club and I lead two classes- an annual workshop for BoyScouts seeking their genealogy merit badge, and a Genealogy study group and provide various other educational presentations throughout the year. I have found your various vita brevis articles so engrossing I would like to share them when the topic is appropriate. May I do so ? I have looked for a copyright restriction and haven’t found clear guidance. I would provide full attribution always and do not profit in any material way from these classes or newsletters. I would like to know the source of the beautiful family tree that is the background of the Vita Brevis title. Two of the people on it have a surname similar to a mystery surname (brick wall) in my ancestry. Has anyone developed some sort of database for anonymous family photographs? Sadly, I have several photo books from around 1900 and many ancestors whom I cannot identify. If there were a site where anonymous family pictures were posted under a list of suspected family names, there might actually be a way to start identifying these photographs. I recently discovered that a family member mislabeled several photographs I had but a distant family cousin was able to clarify this for me. I don’t want my children to toss these pictures down the road because they have no idea who the people are. If we could place a name to the picture, it is less likely this will occur. Is anyone else in this predicament? What if NEHGS became to “go to” site for this? Christopher Child, are you listening? Thank you. Try “Dead Fred”. It’s a website where people post pictures of unknown ancestors in hopes that someone can identify them. How do I submit an article for inclusion on the vita brevis blog? David, I would be glad to take a look at your article. You can reach me at scott.steward@nehgs.org. I was looking to contact David Allen Lambert about a large and detailed original family photo album from the1800’s I have in which the first photo that appears is the one and only Elisha Hawes. It also includes photos of most of the family members listed in Mr. Lambert’s research about Stoughton Mass. Some of the photos and sir names include Farrington, King, Davenport,Cook, and Stewart. Even has a photo of Fanny Davenport. How can we post onto the blog. I discovered that the wife of my great grandfather was pregnant when she married her first husband. When her daughter was 5 she sued that husband for “desertion, drunkenness and failure to pay child support” to divorce him in the 1880s. I believe she had met my great grandfather then in her boarding house in Dillon, Montana. They married later in the year. My Aunt Sadie lived a as daughter to my great grandparents to be joined by three other daughters, one my grandmother. Sadie married but had no children. I have more detail.